One thing I have enjoyed about Hong Kong, besides the plethora of sunny days, are the endless activities going on around the city. Since we arrived in Hong Kong back in August we have not gone on one trip, which is unusual for us, but due to the school calendar and trying to save some dough we have stayed in Hong Kong. That being said there has not been any shortfall of things to explore or events to attend. 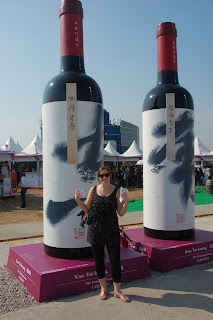 A few weeks back on a Sunday afternoon I dragged Justin to Hong Kong's Wine and Dine Festival. Overlooking Victoria Harbor we enjoyed some lovely imported wines (no offense but no good wine is coming out of Hong Kong) and some delicious finger foods. 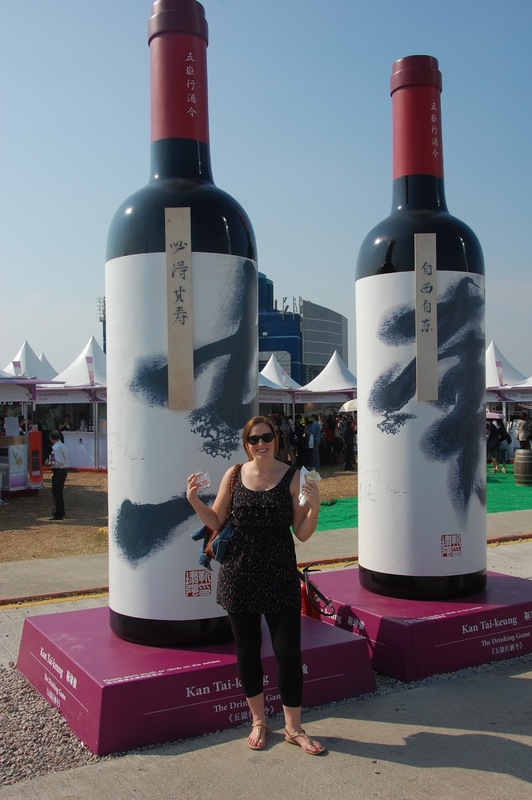 As a food junkie, I loved this event. It was great to get out even if it was blazing hot for November and see another side of life in HK. It was a great layout with France in one corner, Italy in another, and everything in between. We'll definitely be coming back next year. Next event will be Hong Kong Christmas markets (but I doubt they will be anything like the fantastic German ones).